I love being wrong. I know that sounds so strange and counter intuitive, but my last post was about the garden being finished for the season and I was wrong. Big time wrong. Let me explain, it was a sunny day on Monday and I looked out at the garden that I had yet to clean up and decided not to delay. The sun was shining, the kids where at school and the moment was mine. I ventured into the garden which looked so sad and wilted. All of the energy and life seemed to have been picked from it. I began my ritual of ripping out all of the plants that I had so tenderly planted with such promise and hope. Some had yielded their full potential of edible gifts while others hadn't. As I carelessly walked on top of the raised bed ignoring where I was stepping and hastily making my way through the task of bending and pulling out all of the tomato stakes and remnants of tomato plants this huge patch of lush green weeds caught my eye on the other side of the garden. I couldn't believe I had such a large cluster of weeds that were such a brilliant green color. When I walked over to it to examine it more closely and I was in awe of what I saw. 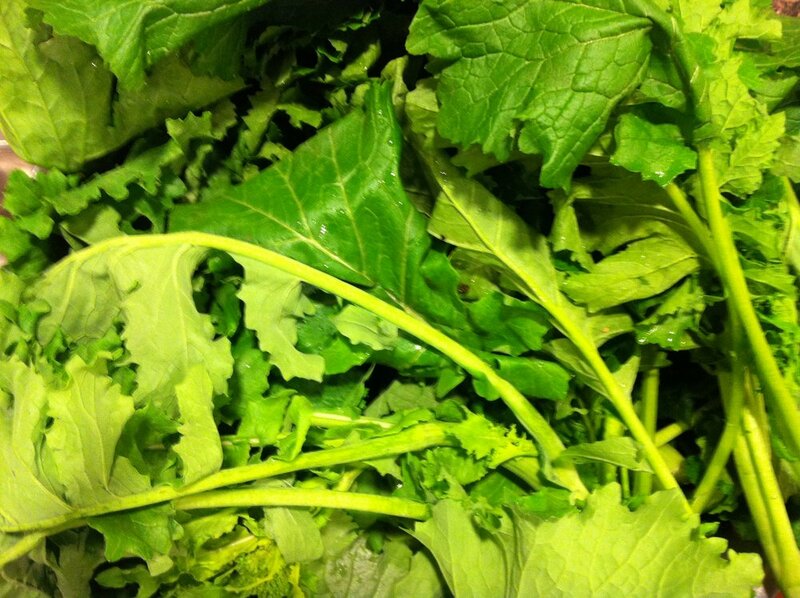 It was a full crop of Broccoli Rabe. One of the crops that I have struggled with the most. Despite the most carefully executed planting, watering and carrying routine time after time I had failed to grow this beloved family favorite. Each year I had experienced another failure from this crop. When I examined it more closely and looked back at my garden notes that I had kept from the start of the season I was even more amazed. It was all completely wrong. It wasn't supposed to be there, that wasn't where I had put it or intended for it to grow. This made the discovery even more profound and perplexing to me. As I contemplated how seeds or plants take root and choose to succeed, I pondered on how some times the things we are sure are right for us do not take root, and the others we are convinced are not right for us on our path take root and thrive. It is so often that a different path appears or something grows where it is not supposed to, but being open to being wrong allows you to see that what was once thought of as a weed is now a luscious gift in life.